BELLEVUE, Wash. - Sept. 13, 2018 - PRLog -- Dr. Cynthia Pauley, Bellevue Cosmetic Dentist at Brookside Dental, has been selected as one of the "Three best Rated" Bellevue Cosmetic Dentists (https://threebestrated.com/cosmetic-dentists-in-bellevue-wa) by the independent business rating agency "Three Best Rated™". This honor recognizes Dr. Pauley for her excellent dental work in the field of cosmetic dentistry. While she has delivered the highest quality dentistry work to her patients, she also has been active in many areas of dental education and at all levels of major dentistry organizations. Dr. Pauley is a past President of the Seattle King County Dental Society (2010-2011) and also she has served as the Washington State Dental Association President (https://www.brooksidedental.com/blog/bellevue-dentist-cynthia-pauley-dds-elected-2018-president-of-wsda/) (2017-2018). She taught Restorative Dentistry at the University of Washington Dental School for 13 years and she was named the outstanding Restorative Instructor in 1996. Additionally, she has been selected as a Seattle Met Magazine Top Dentist for eight straight years (https://www.brooksidedental.com/blog/brookside-dental-sel...) – most recently in 2018. She also has been honored as a USA Top Dentist for nine years – beginning in 2010. Other honors have included being inducted as a Pierre Fauchard Fellow (2009) and as an International College of Dentists Fellow (https://www.brooksidedental.com/blog/bellevue-cosmetic-de...) (2017). 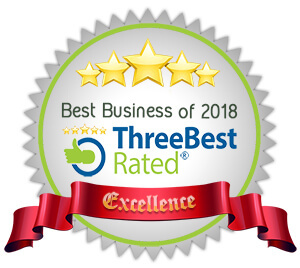 Three Best Rated™ has honored Dr. Pauley for her cosmetic dentistry work emphasizing smile changes and smile makeovers, as well as her overall contributions to the dentistry community. Examples of the beautiful cosmetic dentistry Dr. Pauley has done for people may be observed by going directly to her Brookside Dental Smile Gallery (https://www.brooksidedental.com/smile-gallery/) which exhibits before and after photos of various cosmetic dental procedures.